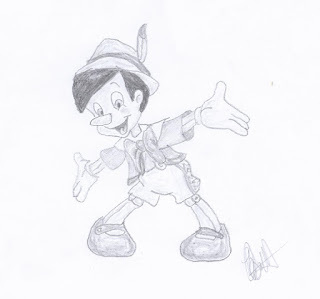 For this weeks Disney Illustration Study I decided to sketch Pinocchio and his wise little buddy Jiminey Cricket. As I live in Italy, Pinocchio has a special place in my heart. The original character is a real business here, and models and other souvenirs can be purchased all over the place. I have to be honest though. I think Disney did a great job with him. 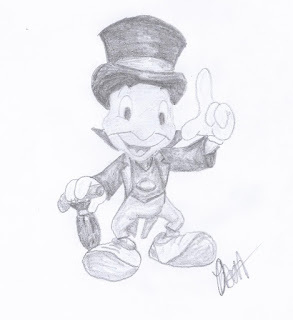 Jiminey Cricket is up there on my favourites list. A real Disney classic that has stood the test of time.